What I am looking forward to next month... / Gee Whiskers! Rubybox is offering a Kiehl's box for October for those who are eager to try out the products. I have been dying to try out some products but living in Cape Town means that I have to wait until next year. When I saw that Rubybox was offering this I immediately opted yes for the box. For those of you that want to try out this box, you have to login into the Rubybox website and opt in to receive the Kiehl's box else you'll receive the usual mix of goodies selected by the Rubybox beauty editors. 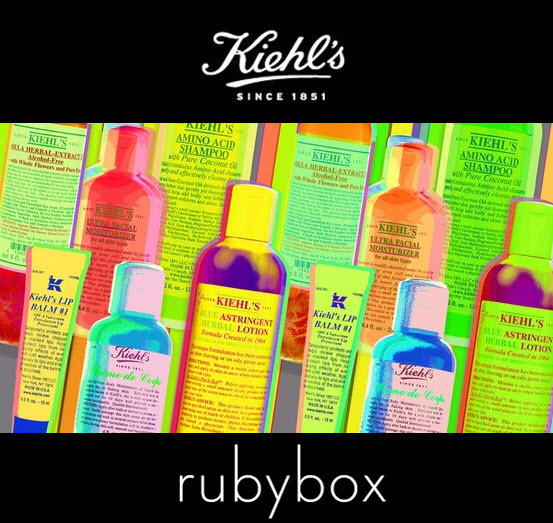 Subscribe now for the Kiehl's Rubybox!